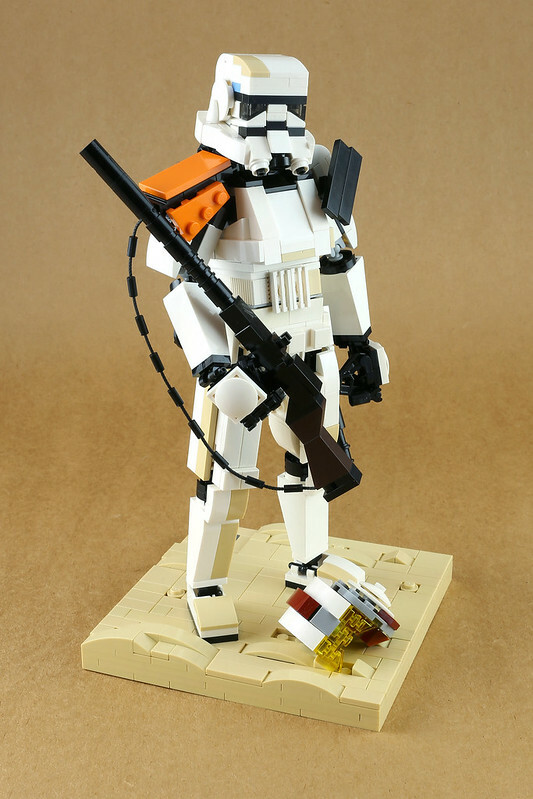 I remember as a young fan of Star Wars, upon probably the 40th or so viewing, thinking to myself "those backpacks must be their environmental packs". You know, keeping them cool in such a hot climate. In reality it added an additional 45 pounds of weight to an already heavy and hot costume, those actors and extras suffered for our entertainment. 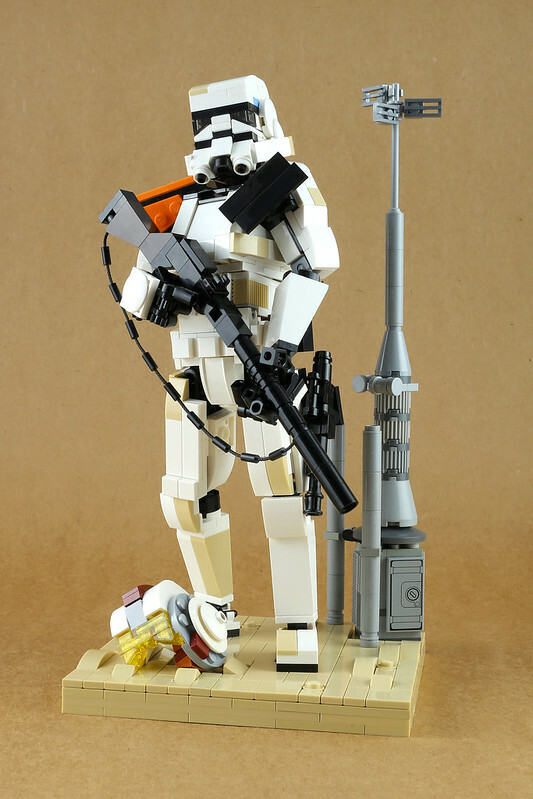 Still, Sandtroopers were badass, and this figure by LEGO 7 is no less impressive.